On a clear day, one can see the private island of Ni’ihau. 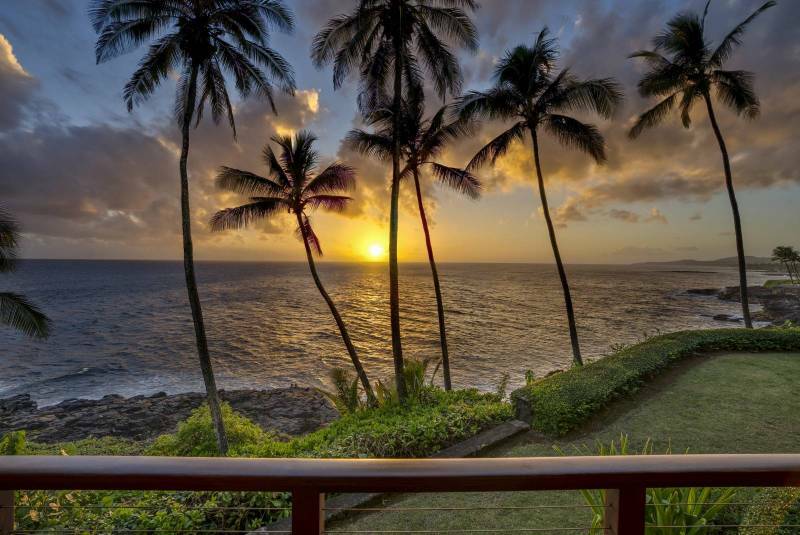 However, it’s the private lanai view of winter sunsets which places this oceanfront residence on my Kauai’s best kept secrets list. 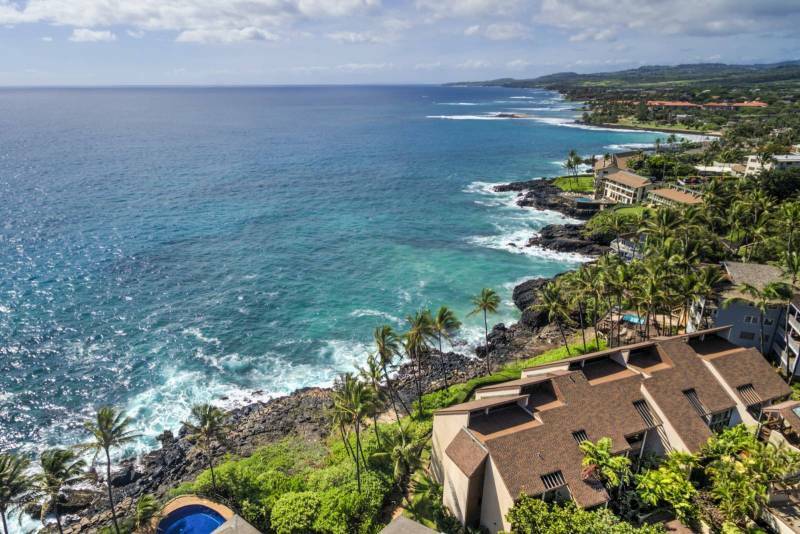 And, with its recent price reduction, Poipu Makai E2 is now South Kauai’s best priced oceanfront residence at $840,000. 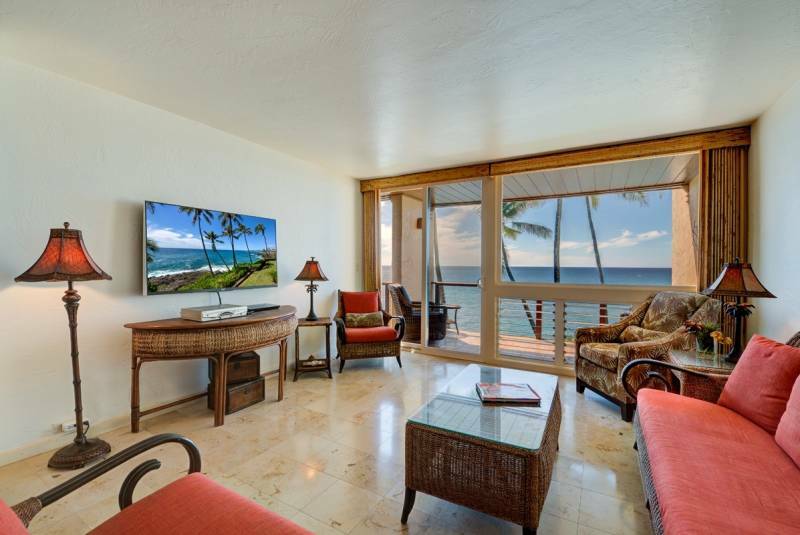 This single-level 2-bedroom 2-bath residence is one of 15 in the oceanfront Poipu Makai complex located at 1677 Pe’e Road, and is an easy stroll to pretty Poipu Beach. Palm trees swaying, humpback whales breaching, and Hawaiian sea turtles playing year-round — all viewed from the privacy of this luxury residence’s oceanfront lanai. This 1,083 sqft 2nd floor corner residence’s living, dining and kitchen area enjoys access to the oceanfront lanai, as does its master bedroom suite. Its second bedroom is adjacent to the second bathroom, and overlooks the tropically landscaped plunge pool and sunning area. 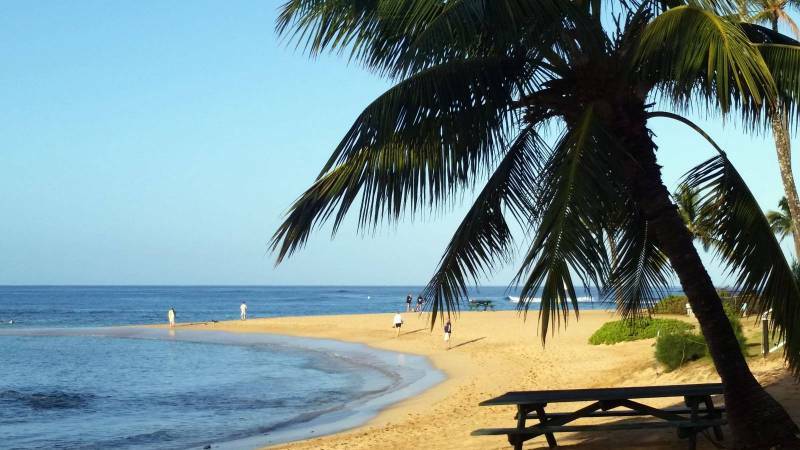 Nearby Poipu Beach is known for safe snorkeling and swimming year round, and the Poipu Beach Resort area enjoys a variety of shops, art galleries, cafes, and world-class restaurants and golf courses. There is oceanside hiking and biking, and the summer is when South Shore Kauai‘s surf breaks come alive. 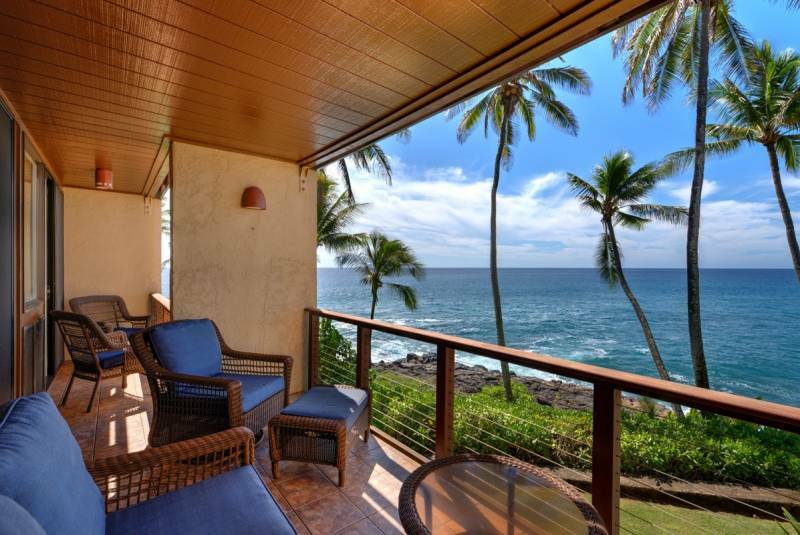 Poipu Makai E2 is currently managed as a short-term vacation rental by The Parrish Collections Kauai, and its reduced-to-sell $840,000 list price includes furnishings (MLS 611201).